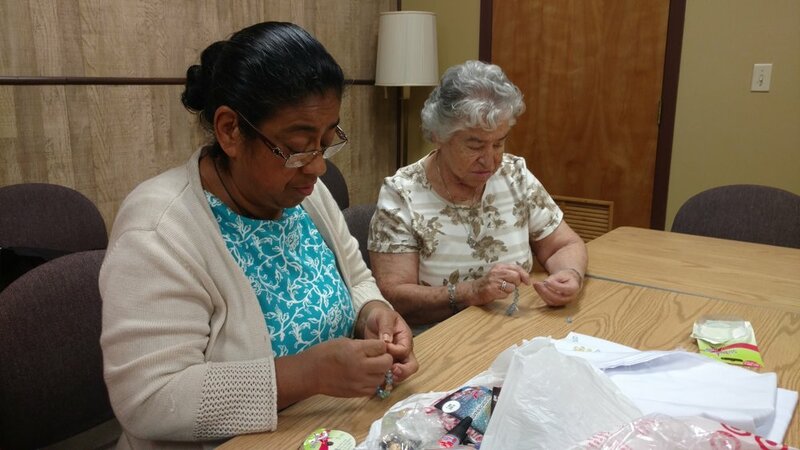 After sharing a presentation on Barriers To Bridges and its history with several members of the hispanic community at St. Anthony Shrine in Boston, several wanted to participate by making hand-made crafts for the kids in Chontal. After several trips shopping and buying supplies, we set to making almost 200 bracelets by hand for me to bring at Christmas time. 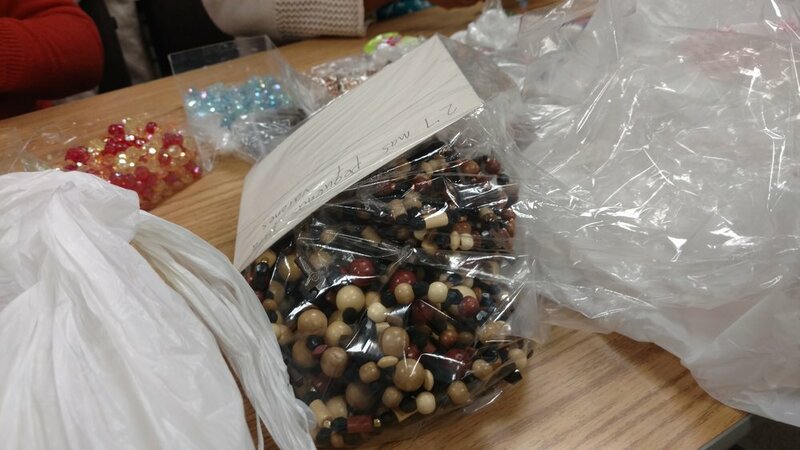 They include colorful plastic beads and Marian medals for the girls, and wooded beads and crosses for the boys. On the last day, Fr. Carlos Suarez happened to be present for the Mass and he helped by blessing the bracelets. 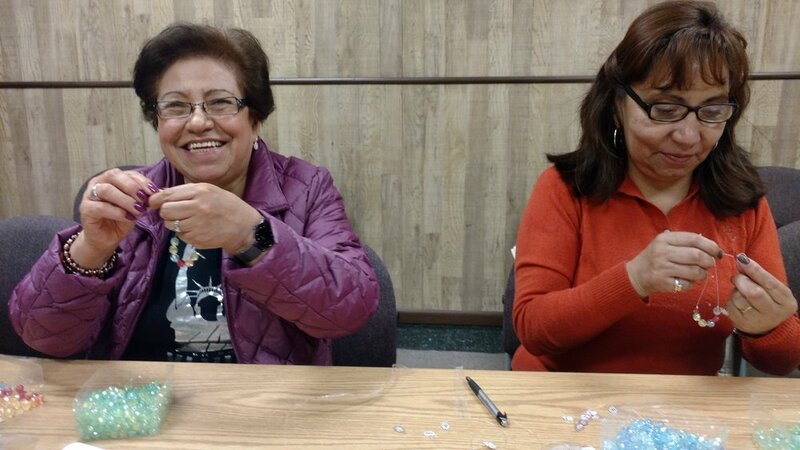 Not only was it a good experience for everyone chipping in and forming community together, but we all learned how to make bracelets by hand. An activity like this - scaled down a bit - could be a part of a great spiritual workshop someday. 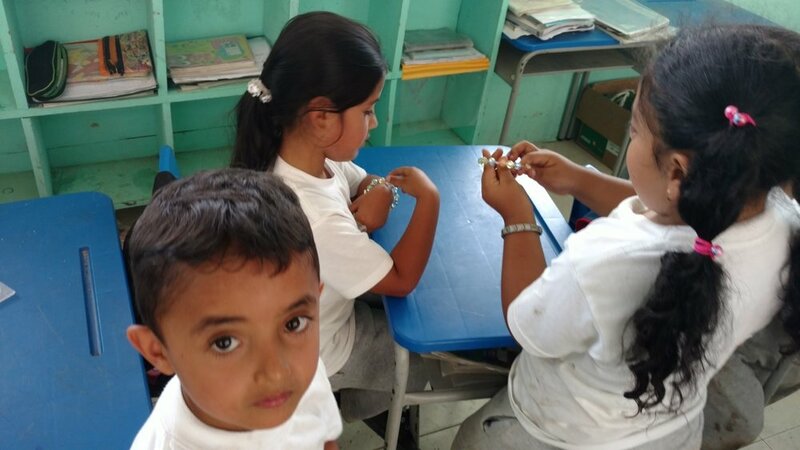 On December 9, I arrived at the school in Chontal to give out the bracelets, and later on the kids from the youth group met and I gave them the earrings and other bracelets for the boys. 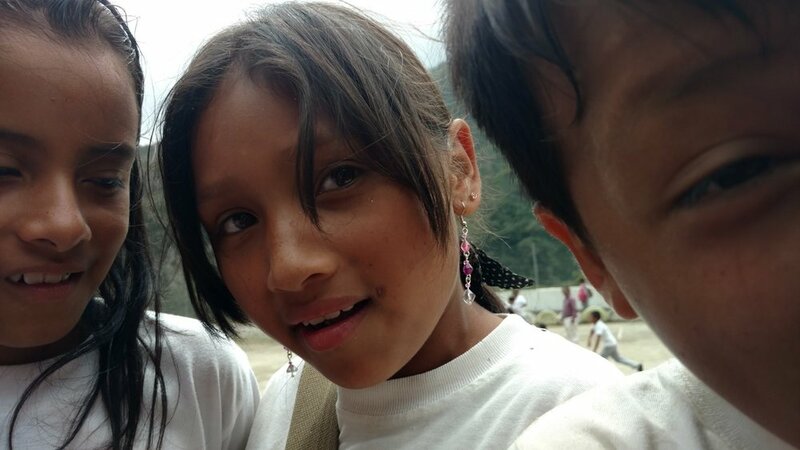 The kids were really happy with their Christmas presents!